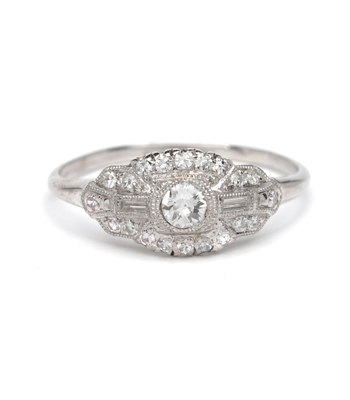 If you’ve been on the hunt for an antique or vintage engagement ring or a piece of diamond jewelry from the late Victorian era, Edwardian era (1901-1915) or Art Deco period, chances are you’ve run into the round old European cut diamond — not to be confused with an old mine cut diamond! 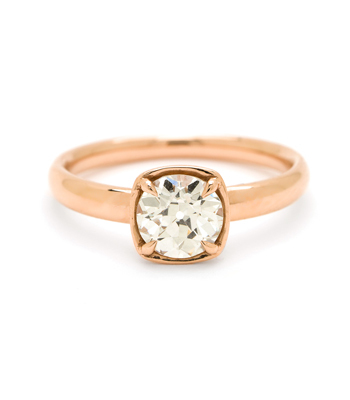 A precursor to today’s round brilliant cut diamond, the old European cut diamond has a round shape, a higher crown, and greater total depth than the modern round brilliant. 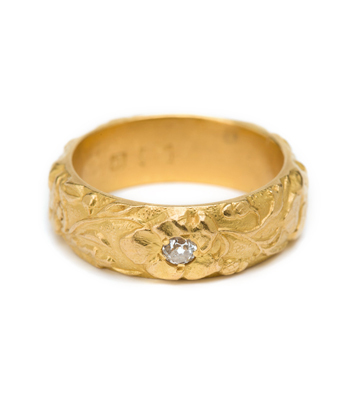 The origins of the old European cut are also from the early 1700s. 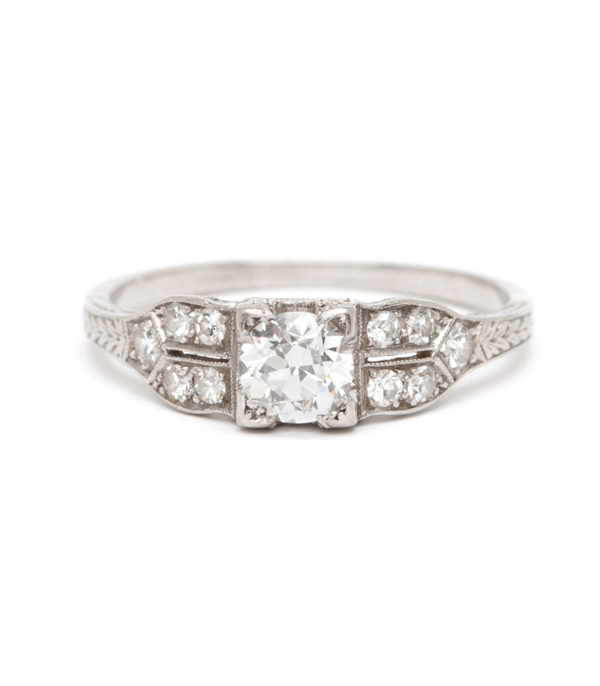 The round diamond gained popularity in the late 1800s due to advances in cutting technology that helped refine and standardize the way diamonds were cut. The invention of the bruting machine in 1874 mechanized the diamond cutting process, giving cutters much greater precision and control. 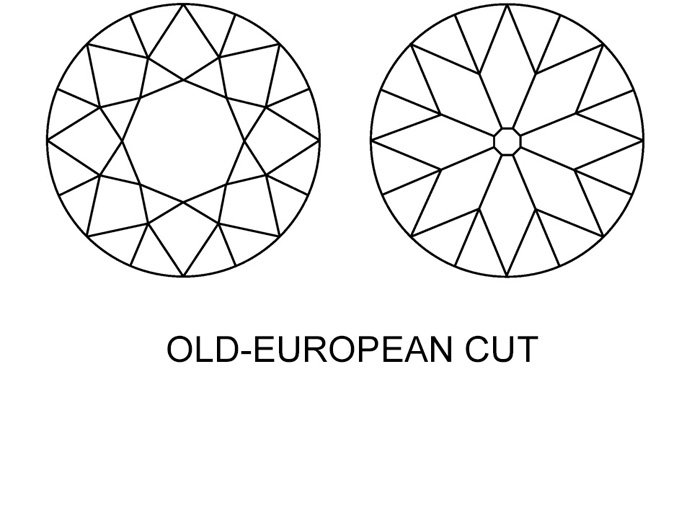 Diamond cutters were able to give diamonds a more perfect round shape and during this time they also modified the proportions to create greater scintillation (sparkle). 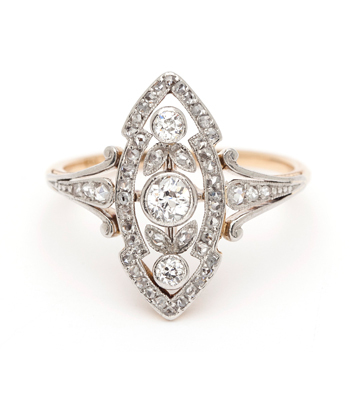 Their new variation on the old European cut is called a “transitional cut” — a term you’re also likely to encounter as you shop for vintage or antique jewelry.